So many of us have difficulty these days either falling asleep or staying asleep! If this sounds familiar, you know how lousy it feels to be tired, grumpy, ready to nod out at any given point during the day, unable to concentrate and so on. No question about it, being sleep deprived doesn’t allow you to be your best at work, at home or anywhere. How Else Does Chronic Sleep Deprivation Hurt You? The MOST important thing you can do to get a great night's sleep! Why changing what you do during the day is 50% of the game to get a great night's sleep. The #1 mistake people make that interferes in their sleep. How poor sleep can sabotage you at work, at home - even put your health at risk! 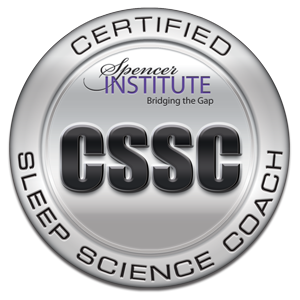 In this 30-minute session, discover if personalized services with Certified Sleep Science Coach, Susan D’Addario, LCSW are a good match for your sleep challenges. 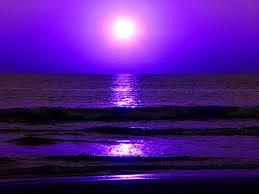 No pressure, no strings attached...just a great conversation with someone who listens deeply and sees your value. One 50-minute session providing extensive information on sleep challenges and what to do get a great night’s sleep. Learn about the most common challenges to sleep and how to overcome them. In our gold-star, individual coaching package, Sleep Like a VIP sessions last for 50-minutes each and meet weekly or twice a week depending upon your needs. This customized one-on-one package is tailored to understand and resolve your sleep challenges. By the end of the 4-sessions, you will have acquired the basics for becoming your own sleep expert! This workshop is designed to provide complimentary sleep strategies to support you in your quest for long-lasting and amazing ZZZs. Lecture, group discussion, as well as interactive problem-solving are all included to facilitate your learning experience. By the end of the evening, you will walk away with newfound knowledge which you can use immediately to take back the night! This 6-week group provides comprehensive, cutting-edge sleep techniques and powerful group support to positively align your relationship with restorative sleep. By the end of the 6-weeks, you will have developed a personalized Sleep Better Action Plan! Early-Bird ► $397 - SAVE $100! This group is geared for people who have already begun integrating their newly identified sleep better behavior changes created in Total Sleep Transformation. Gain support and achieve solid sleep success by transforming your recently established sleep actions into long-lasting habits. Early-Bird ► $277 - SAVE $70! At least a third of Americans are sleep deprived! In this riveting sleep seminar, Susan discusses the essentials of sleep-related education, including the #1 factor of what’s getting in our way of sleeping and what to do about it. At the conclusion of this talk, you’ll be well on your way to a great night’s sleep! Gain all the sleep-related information of the Get Back-To-Sleep seminar, plus the nitty gritty of how sleep impacts job performance, absenteeism, accidents and your health. Sleep-related information geared towards children and adolescents as well as helpful solutions for their sleep challenges. Look forward to hearing from you and working together to get you amazingly Back-To-Sleep!